Islamabad, March 22 (IANS) Pakistan’s Finance Ministry has announced that the State Bank of Pakistan (SBP) will receive a $2.1 billion loan from China by March 25, the media reported on Friday. 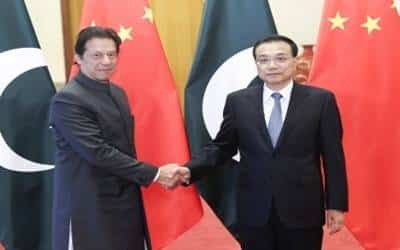 Ministry spokesman Khaqan Najeeb Khan said on Thursday that "all procedural formalities" for the transfer of the loan being provided to Pakistan by the Chinese government have been completed, and "the funds will be deposited in the SBP account by Monday 25", Dawn news reported. The loan facility, the spokesman said, "will further strengthen foreign exchange reserves and ensure balance of payment stability". Shortly after, Chinese Consul General Long Dingbin had said during an interview that in order to "boost Pakistan’s economy", Beijing is investing in multiple sectors and launching business ventures instead of providing loans. Besides the loan package, the Chinese government has also offered Pakistan market access for three commodities – rice, sugar and yarn – worth $1 billion for the current calendar year, a Commerce Division official told Dawn on Thursday. Under the agreement, exporters have been allowed to ship 200,000 tonnes of rice and 300,000 tonnes of sugar – total value of $300 million – to China in the ongoing calendar year. Moreover, the agreement also includes preferential market access for around $700 million worth of yarn but it seems highly unlikely that Pakistan will have adequate surplus quantity of yarn to export to China as cotton production remains lacklustre. This agreement will also be extended to calendar 2020. Pakistan’s exports to China are expected to reach $2.2 billion in the ongoing calendar year and $3.2 billion in the next, according to official figures.